Ever-increasing data sources and image processing capabilities are revolutionizing the Earth imaging community's ability to map and monitor our changing planet. 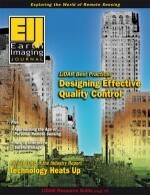 Technology is pushing aerial imagery into an era of more compact digital imaging systems with high-resolution sensors. 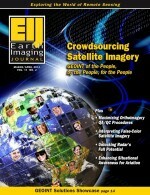 The cover story details this revolution, and the accompanying features outline oblique imagery solutions, digital elevation models, and mapping minerals with satellite imagery. 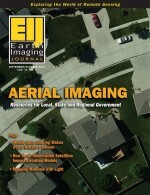 The Aerial Imaging Resource Guide provides details on suppliers. 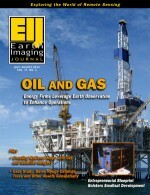 In recent years, energy companies have relied increasingly on Earth observation technologies for a range of applications. 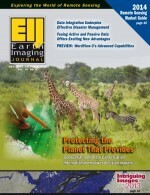 This issue's special oil and gas section examines the benefits of satellite-derived bathymetry for offshore seismic surveys, global elevation data for exploration and development, and remote monitoring technologies for emergency response. 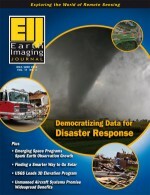 Emergency responders use an often complex mixture of static and dynamic data to make quick, meaningful decisions that can save lives as well as property. But anticipating scenarios and responses can help responders coordinate, rather than duplicate their efforts. Discover how this vision is becoming a reality. The phenomenal response to crowdsourcing campaigns has engaged a new kind of analysis in which millions of volunteers use high-resolution Earth imagery to search vast areas with incredible precision. Learn more about a new direction for geospatial intelligence (GEOINT) that uses individuals as data producers and consumers. Light detection and ranging (LiDAR) technology has been used for mapping applications for more than a decade, but the question of how to ensure data quality has become more important as LiDAR projects have become more widespread. Discover how to ensure quality control in each step of the data collection process. Conservation International takes on more of Earth's most critical environmental challenges from the economics of healthy sustainable societies to site-based monitoring of biodiversity and ecosystem services. 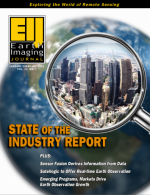 As detailed in this issue's cover article, Earth imagery and geospatial solutions are among the key tools used by the organization. 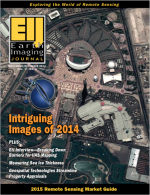 The volume and variety of Earth imagery for geospatial intelligence (GEOINT) applications has grown exponentially. 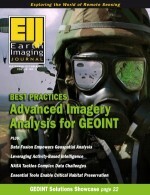 Learn more about advanced geospatial analysis tools that can streamline GEOINT operations and increase the return on investment in Earth imagery data.